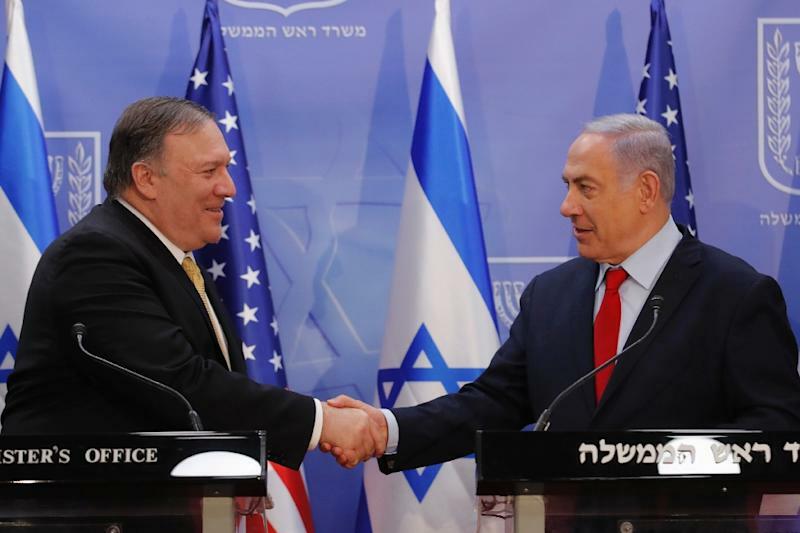 Jerusalem (AFP) - Top US diplomat Mike Pompeo and Israeli Prime Minister Benjamin Netanyahu vowed Wednesday to counter Iranian "aggression" as the two met in Jerusalem just weeks ahead of Israel's elections. 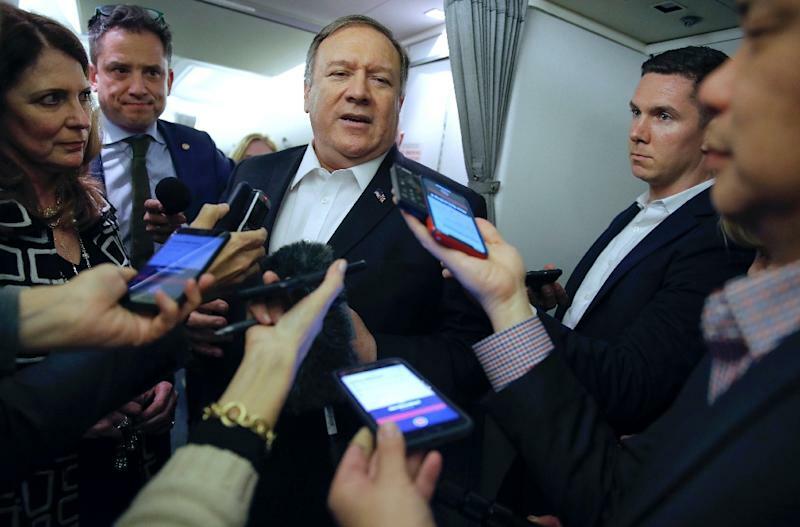 Pompeo was on a regional tour focused largely on Iran, but the meeting and his warm words on Netanyahu's leadership will likely be seen as support from US President Donald Trump's administration amid the Israeli premier's re-election fight. Pompeo's visit offered the right-wing premier an opportunity to burnish his security and diplomatic credentials -- both key planks of his re-election campaign. In comments after Pompeo's arrival, Netanyahu said Trump's pressure on Israel's main enemy Iran was already having an effect, referring to his withdrawal from the nuclear deal between Tehran and world powers and Washington's reimposition of sanctions. "We need to increase it, we need to expand it, and together the United States and Israel are working in close coordination to roll back Iranian aggression in the region and around the world," he said. 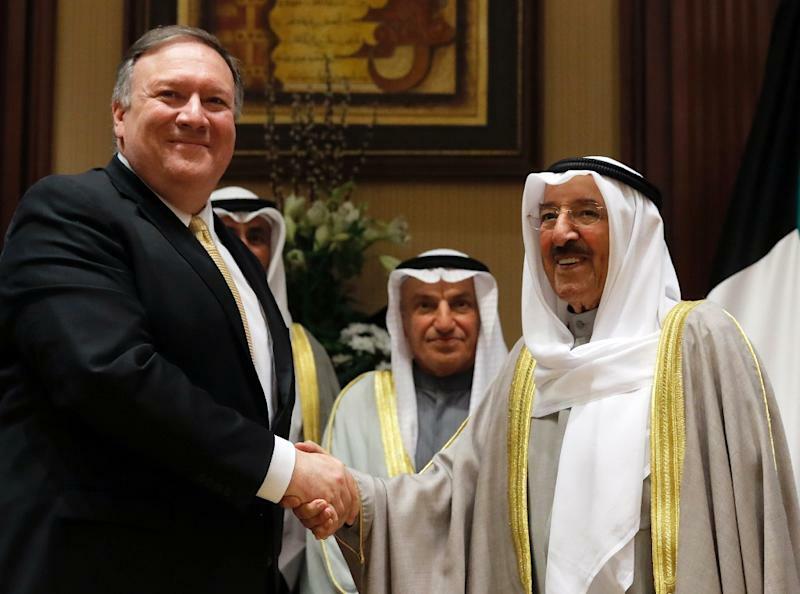 Pompeo noted a Middle East conference in Warsaw last month that included Arab nations as well as Israel, saying the discussions involved efforts "to stop Iran's regional rampage" among other issues. The US secretary of state also spoke of Iranian calls for Israel's destruction. "With such threats a daily reality of Israeli life, we maintain our unparallelled commitment to Israel's security and firmly support your right to defend yourself," he said. Netanyahu reiterated his pledge to keep Iran from entrenching itself militarily in neighbouring Syria, where the Islamic republic backs President Bashar al-Assad's regime. Pompeo's stay in Jerusalem also included a four-way meeting with Netanyahu, Greek Prime Minister Alexis Tsipras and Cypriot President Nicos Anastasiades on Wednesday night. He is pushing for a greater role for the Middle East Strategic Alliance (MESA), a US-sponsored Arab NATO-style bloc aimed at uniting Washington's Arab allies against Tehran. He urged Qatar and Saudi Arabia, both members of MESA, to bury the hatchet in a political dispute over regional policy that has placed the two powerful Gulf states at odds. Saudi Arabia, the UAE and their allies cut all ties with Doha in 2017, accusing Qatar of bankrolling Islamist fundamentalists and cosying up to Iran. Pompeo said before his arrival that his trip to Israel had nothing to do with politics, saying the "relationship matters, no matter who the leaders are." No meetings with Netanyahu's opponents are scheduled, and the secretary of state will not meet with representatives of the Palestinian Authority. Trump's administration has taken a series of steps that the Palestinian Authority has deemed so hostile that it now refuses any contact with the US administration. President Donald Trump's decision in December 2017 to recognise Jerusalem as the capital of Israeli delighted Netanyahu's government. Pompeo's two-day visit to Jerusalem also includes a stop at the new US embassy, which was transferred from Tel Aviv on Trump's orders last year. The US has ceased to refer to the Golan Heights as "Israeli-occupied" and instead calls the territory seized from Syria "controlled" by Israel -- a change seen by some as a prelude to US recognition of Israeli sovereignty over the strategic plateau. April 9 parliamentary elections in Israel will also start the countdown to the presentation of an Israeli-Palestinian peace plan. It has been prepared by a small White House team, headed by the president's son-in-law Jared Kushner, which analysts say is strongly pro-Israeli. It is expected to be released in the weeks after the election.